Redcap&Truss Advises Foundation Automotive Corp.
Redcap&Truss acted as exclusive financial advisor to Foundation Automotive Corp. (“Foundation Auto”) on the acquisition of Howe Sound Chrysler, Dodge, Jeep, Ram (“Howe Sound”). Foundation Auto is a newly formed company focused on acquiring automotive dealerships across North America. 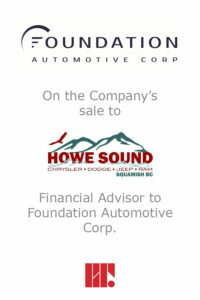 The acquisition of Howe Sound, located in Squamish, BC is Foundation Auto’s inaugural acquisition. 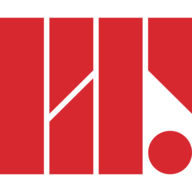 If you are interested in learning more about selling your business, the current market environment or are looking to acquire, please contact us. Copyright © Redcap&Truss. All Rights Reserved.